The news was updated on January 10, 2019. 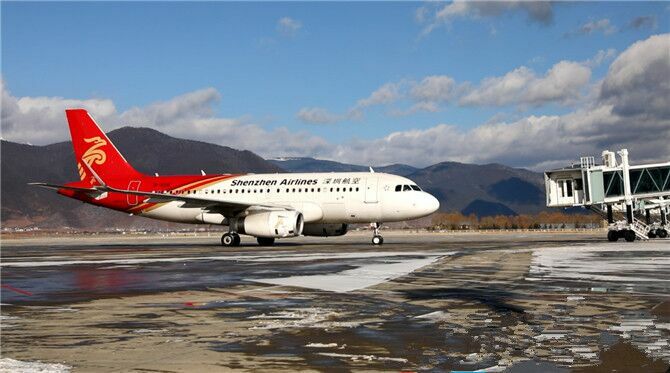 An A319 passenger plane with Shenzhen Airlines landed at Diqing Shangri-La Airport on January 10 after a flight of 2 hours and 45 minutes, resuming the Shenzhen-Shangri-La direct air service. The ZH8959 and ZH895960 flights will be operated to carry out the service on daily bases, with the departure time in Shenzhen being 06:15 am (Mondays, Wednesdays, Fridays and Sundays) or 06:20 am (Tuesday, Thursdays and Saturdays). And the flights leave Shangri-La at 10: 20 am every day. The Shenzhen-Shangri-La direct flight was once in service in the years of 2006 and 2007. The resumption aims to increase Diqing’s exchanges with the developed cities and make Shangri-La better known to tourists. Shangri-La Airport in Yunnan’s Diqing Tibetan Autonomous Prefecture was put into service in April 1999. 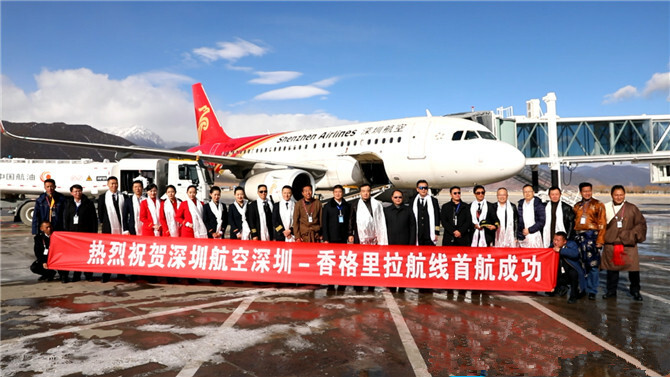 In the past 20 years, the airport has grown to be the second largest airport in China’s Tibetan areas, with passenger throughput reaching nearly 600,000 per year.